This was a refreshing, honest, humorous evening with the Clintons. They had serious answers on the Bin Laden raid, North Korea, despots in general, Putin in particular, and climate change – among other topics. Lighter notes touched on their courtship and time at Yale. NEW YORK (AP) — Now that Beyonce and Jay-Z are off the road, another power couple is taking their place: Hillary and Bill Clinton. 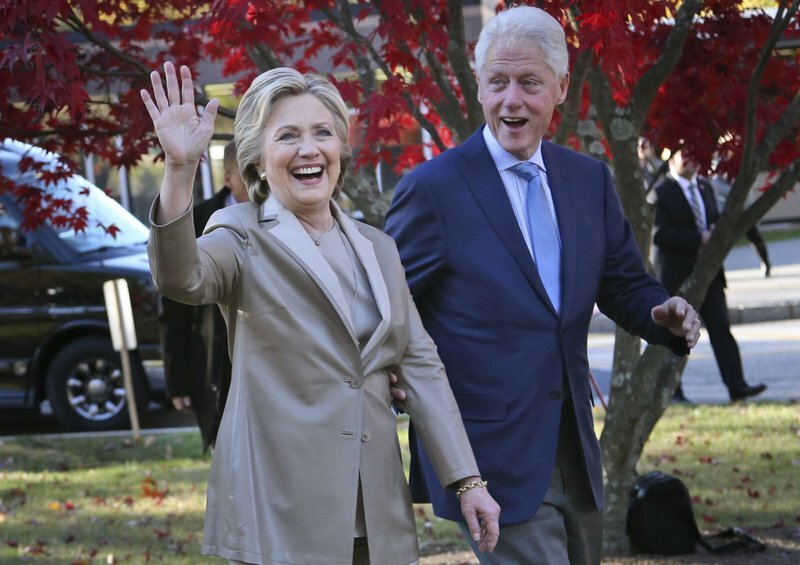 The Clintons announced Monday they will visit four cities in 2018 and nine in 2019 across North America in a series of conversations dubbed “An Evening with President Bill Clinton and former Secretary of State Hillary Rodham Clinton.” It is being produced by tour promoter Live Nation, the company behind Michelle Obama’s massive tour to promote her new book as well as tours for Beyonce, Taylor Swift and Bruno Mars. Bill Clinton posted information about the New York appearance a little while ago. Click on the image to find details and ticket sales links.